Culture Days kicked off last Friday here in British Columbia. I’ve never heard of Culture Days before, but the CBC hosted a big street event to kick it off. 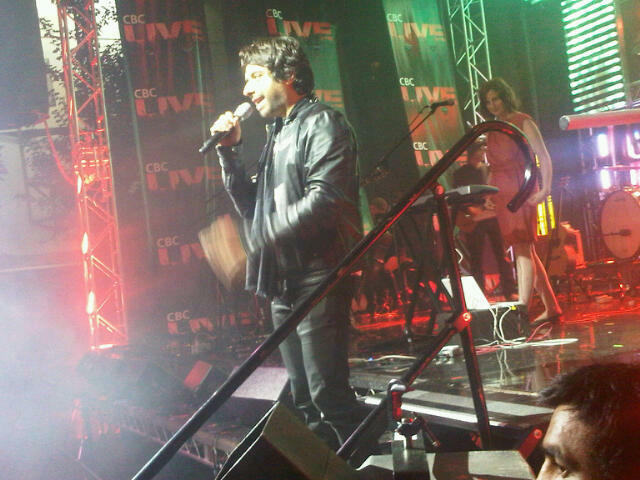 It included a panel discussion on social media and how it’s affecting journalism, hosted by Jian Ghomeshi. Frankly, it didn’t matter what the panel was talking about, they had me at Jian. For the benefit of my American reader, Jian Ghomeshi is the Canadian male equivalent to Barbara Walters before the plastic surgery. He hosts the best radio show ever aired, Q, where he interviews authors, musicians, and anyone else who might be more interesting than your average Agnes. Usually his guests possess more talent in their pinky finger than I have in my entire body; and I am always inspired (as well as green with jealousy). It airs weekdays mornings, so Jian’s smooth voice fills my kitchen while I’m scrubbing pots and cleaning the oven and doing all of those other glamorous jobs that earn me the big bucks. Jian squeezes blood out of a rocks during some interviews, and with others is sweetly star-struck and deferential. I’ve acquired a long list of books and albums I want to buy as a result of his show. So much for free entertainment. Jian brings me up when I’m feeling down, and brings poignant moments to my day – and thus my life. So I feel like I know him, and should he know me I’m certain we would get along like my old volleyball teammates between games. It was worth a trip downtown to see my old friend in person, since he resides in Toronto and my chances of bumping into him at the mall are slim to none. Culture Days did not disappoint. The CBC had gone all out with tents and sets and stages; there were almost as many red-shirted CBC workers as senior citizens and teenagers milling about. There was more energy in this city block than there had been since the Stanley Cup riots, and I was very happy that I had forwent grocery shopping in order to be there. 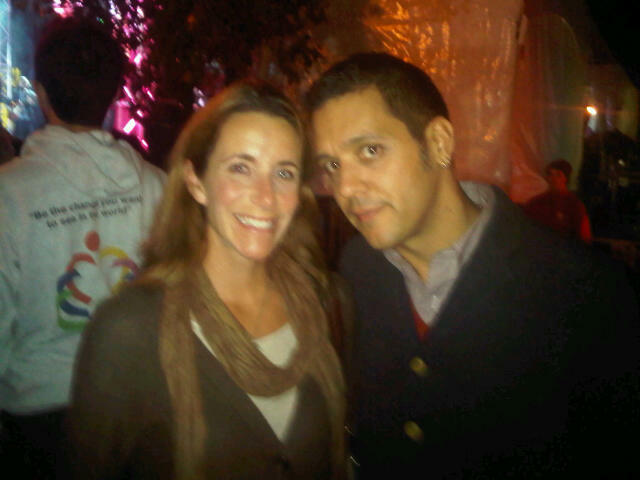 George Stroumboulopoulos was hanging around the event – just hanging around! Only in Canada would a network star be able to do this. I only stalked him for a half hour to get my picture taken with him. Of course, I panicked when he asked me my name, and butchered its pronunciation. He asked me to repeat it, as if it mattered to him – so sweet. When saying goodbye he actually bowed. Amazing to encounter a television personality completely unaffected by his popularity. If you think I’m name dropping, that’s because I am. Since my life is very rarely exciting, I’m okay with it. If things pick up in the future, and I’m meeting cool people every weekend, I promise I won’t put them on my blog. Maybe on Facebook, but not on my blog. 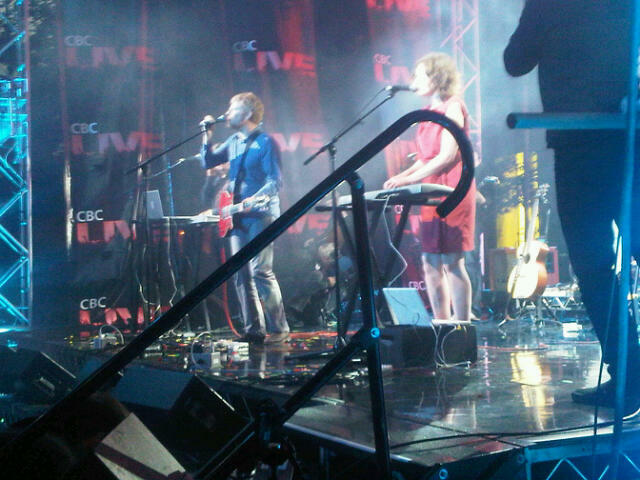 I’m not sure what other events Culture Days had on its roster – the fact that this was the kick off implied there was more to them than this action packed day in front of the CBC building – but this would be hard to compete with. And my entire weekend entails attending soccer games. This would be both the beginning and end of my Culture Days. But I am a freakishly proud Canadian, riots and all, and so I say long live Canada, and long live the CBC, without an ounce of sarcasm. Sounds delightful, Deanna. You should be proud to be Canadian. Your country has a lot going for it that we don’t. But thanks for explaining who Jian is. Best wishes to my northern neighbors! See? I knew the background would be helpful for you, my American reader! You would love Q – you could stream live online into your kitchen down south.